State Director of National Orientation Agency in the person of Mr. Oliver Worlu Boms recently in an interview with The Newswriter Newspaper at his office located at Elekahia Town Hall, talked about the obvious flood challenge that the cities are facing. He urged that all communities rulers should see to it that the area that is been prepared for sale to the public should have a master plan. He added that, while the buyers are contracting and planning to build, the people to go rural and enforce the people to obey the master plan. All the spaces carved and mapped out for gutter, road, waterways etc should not be tampered with. Mr. Oliver also stated that this is necessary because people are fond of maximizing any available space and find it difficult to let go some space for gutter, road etc. 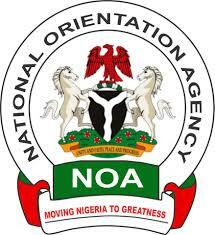 Still speaking, he added that the National Orientation Agency (NOA’s) duties are numerous and not limited to the following, majoring the agency informs, sensitize, educates, mobilizes as the case maybe to promote governments policies at all levels and give feed back to appropriate government members.